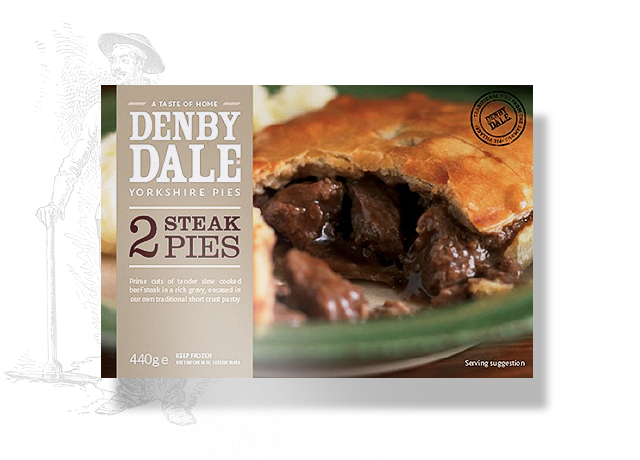 Denby Dale Pies. Part of the Country Style Family. Denby Dale. NOW THAT'S A PIE. We’ve been eating pies since King George III was but a boy, so it’s safe to say we know what makes a good one. Today, our recipes haven’t changed a bit. Because we believe in making real Yorkshire pies how they used to taste. You can take the pie out of Yorkshire, but you can’t take the Yorkshire out of our pies. Sown, grown and grazed right here, our local, responsibly-sourced flour, butter, meat and veg are what give our pies a real taste of home. It’s the way we braise low and slow for three hours long. It’s the rich whiff of steam when you crack the crust. It’s the gravy-smothered cuts of tender prime meat. It’s a hearty meal that’s worth the wait. It’s why you love pies. They may not be perfect-looking, but that’s the beauty of our pies. Hand-filled, hand-crimped, hand-finished and a bit rough around the edges. In fact, you might just get away with passing them off as your own. We make our shortcrust pastry by hand every day and give it a well-earned rest overnight before we shape and hand-crimp it. 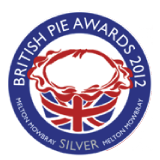 And to make sure each pie is as fully filled and moreish as the last, we bake in batches and inspect at every stage. Choose from three sizes and four classic, jam-packed fillings, like steak and ale, meat and potato, and chicken and gravy.